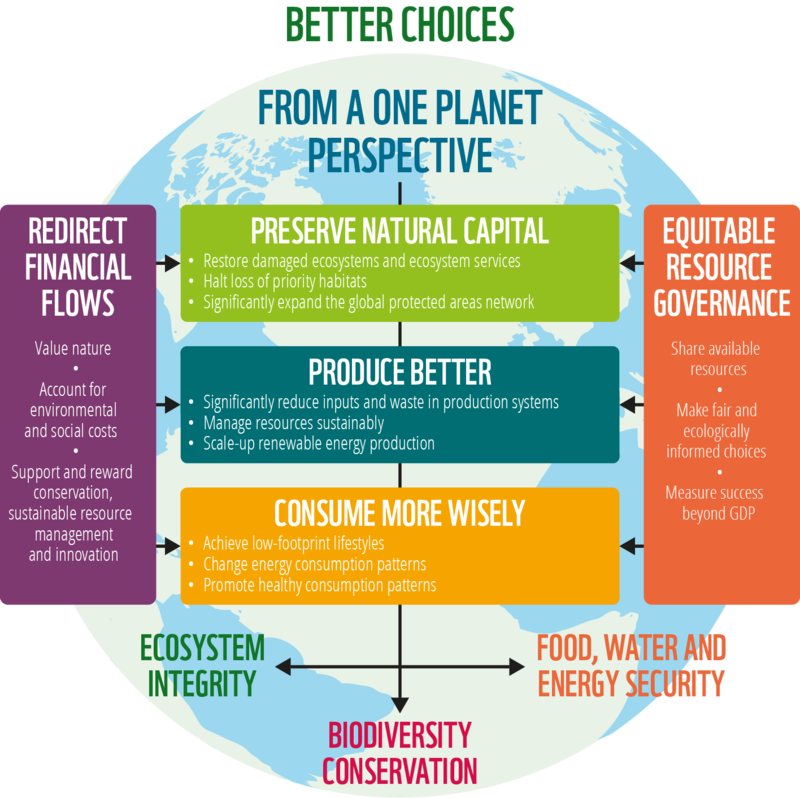 Producing enough food – in addition to other agricultural commodities – for 9 billion people within planetary boundaries is only possible if there is stability in its access, availability and utilisation. 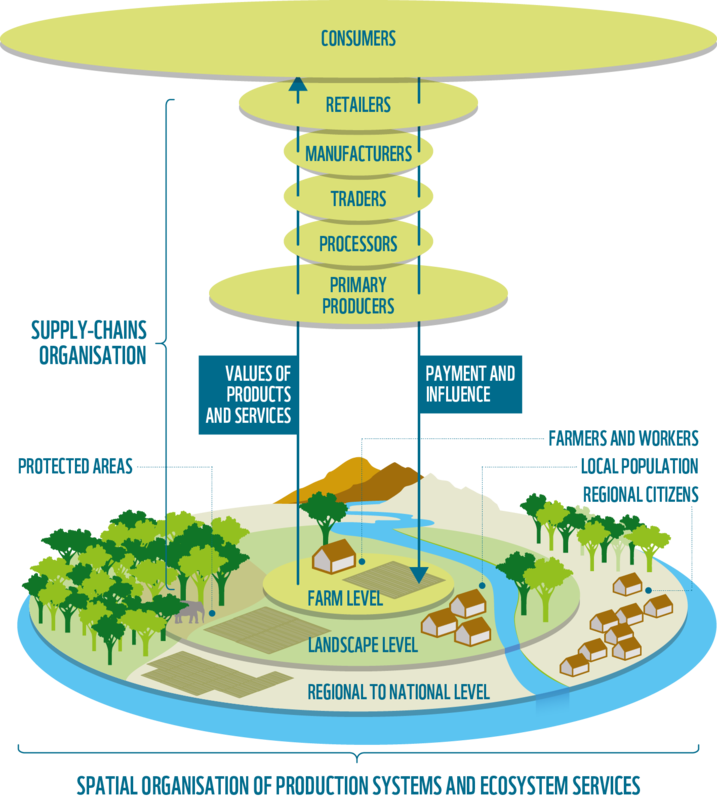 In order to provide sufficient sustainably produced food in a scenario of a rapidly increasing world population, WWF works on three key intervention areas: reducing food loss and waste along the entire value chain; increasing the area under agriculture (and aquaculture) that is sustainably managed; and shifting consumption patterns to diets that are healthier and more sustainable. Existing challenges and opportunities have led WWF to champion the concept of SCP as a key driver in achieving a worldwide balance between the socio-economic growth of countries as well as the protection of our natural resources and food security.